Sometimes a Bargain isn't quite as good as you think! So I was walking around our local town about 4 weeks ago and spotted these great shoes – for UK people – they are Startrite, normally at £35 a pair. This little shop was selling them for the bargain price of £5 a pair, and much to my great delight, they actually had my daughters shoe size in decent looking shoes. I reserved some for my little girl until after school the same day. Promptly picked the kids up from school and drove down there. Even better news when we got there, there was a pair to fit my son. One happy mummy £10 for 2 pairs of good quality shoes………. Now this is where the fun starts. Not really that noticeable until you turn them on their side – or start wearing shorts! 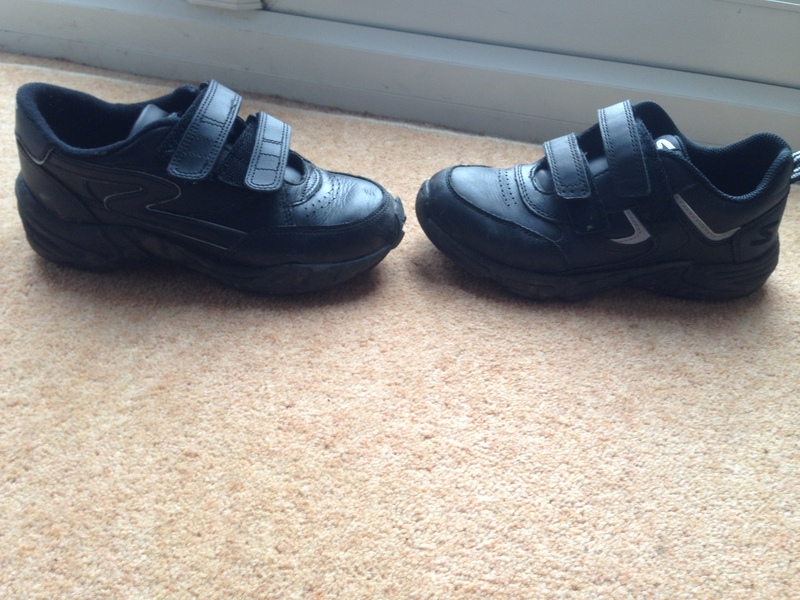 5 weeks on – and after asking his teacher to check all the kids shoes to match up his correct shoes, we still this same ‘pair’ of shoes! There is obviously another little boy running round school with the “same” pair of shoes! Bad luck I hear you say – but still pretty funny. 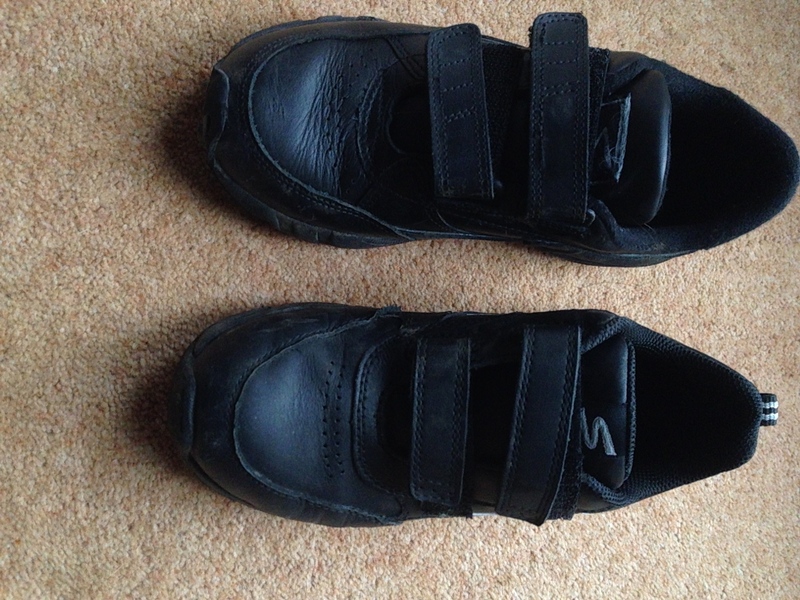 Then my daughter, who’s managed to come back from school in the same shoes as she gets sent in, 2 weeks ago takes her shoes off at home….. and then can’t remember where she has put them! We’ve all searched high and low – and nope – the shoes are gone…… until this morning! When we found them, put away nicely – put in the grown ups box of shoes! Yippee I thought, until we nipped out for a bit and one of the dogs has absconded with one of the shoes – and now we can’t find that! There's so much more I want to make!!! Previous Post Eaten by a shark!